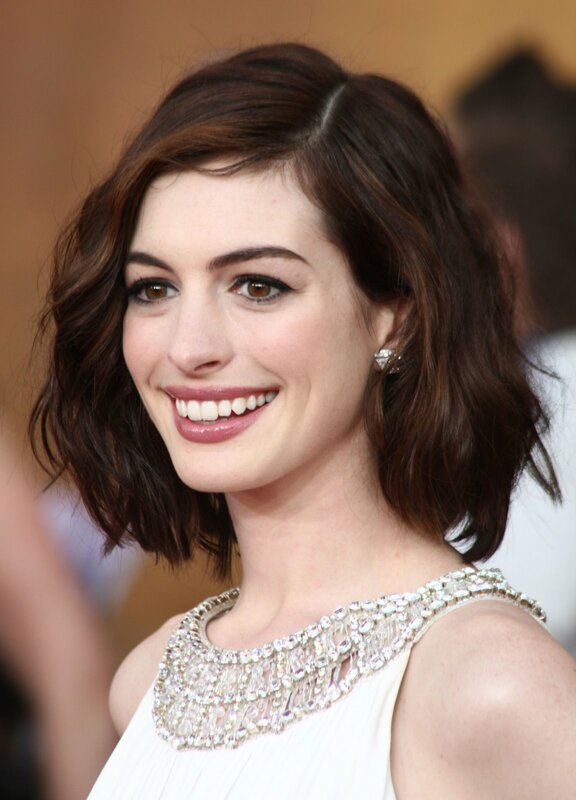 To find out what short hair ideas celebrities will introduce, just scroll down this article. From updos, to all the way trendy bobs to shortest pixie, here are all the ideas you need to get the prom inspiration. Precisely for those who think that updo hairstyles are impossible on short hair base, please see the cutest styles above. One thing you can definitely do is to have braids. Skilled stylist will make the classy three-strand even on very short length. Another ting is to make curls and pin them into a tiny updo. And this is not the whole list. Actually, letting your imagination fly, you ca invent far more attractive looks. Well, we know that prom is important and all that. However, I definitely vote for bob hairstyles. Indeed, short prom hairstyles 2017 are blessed with a chance to represent bob cuts. The best looks for solemn and official looks will be the extra sleek and straight center parted looks. Meanwhile to add some flirty and girlish touch, go for waves and wet effect bobs. On the whole, bob hairstyles are always nice, no matter how you appear to style them for some special occasion. They are super trendy right now! Finally, if you have the shortest pixie cut on earth, you can still make it look different n the prom day What are the options? Blow up the mane like Miley. Yes, this will be the funky look. Create a messy pixie style and upgrade it with a princess crown. An easy style, yet with much grace and elegance.